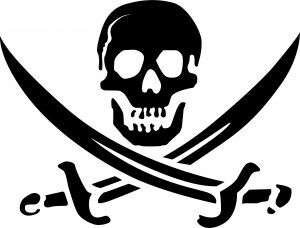 Anti-fraud firm, MarkMonitor, recently carried out a study to estimate the extent of online piracy prevalent in society. The results were quite shocking, to say the least. The study was carried out on the instance of the U.S. Chamber of Commerce by observing the amount of illegal traffic on 43 file-sharing sites. Their findings do not reveal a happy picture. It was found that these sites which sell pirated data generate over 146 million visits every day. That totals up to approximately 53 billion visits per year, which is a colossal amount. In fact, 146 million visits per day is more than the total number of visits for counterfeit physical goods or counterfeit prescriptions in the whole year – 87 million and 51 million respectively. Of the 43 sites studied, the top 3 are RapidShare.com, Megavideo.com and Megaupload.com. The traffic on these three sites alone is about 21 billion visits per year. Of course, the number of visits to these sites does not give any indication of the number of unique individuals these sites, or the amount of illegal downloads.The numbers could be inflated by repeated daily visits by individuals. Even so, the number of unique users is likely to be astoundingly high. What is clear however, is the fact that these commercial file-sharing sites are becoming as popular as other peer-to-peer technologies. RapidShare.com has come under the scrutiny of the RIAA, the recording industry’s lobby, which wants such sites to install filters to prevent illegal downloads. However, the Higher Regional Court of Dusseldorf in Germany, has recently ruled that RapidShare need not install such filters, as they feel that “reasonable measures” are already being taken to control piracy.